Spent some time building a decent looking gallery type space to put down some sculptural stuff. Pretty happy with how things turned out overall. 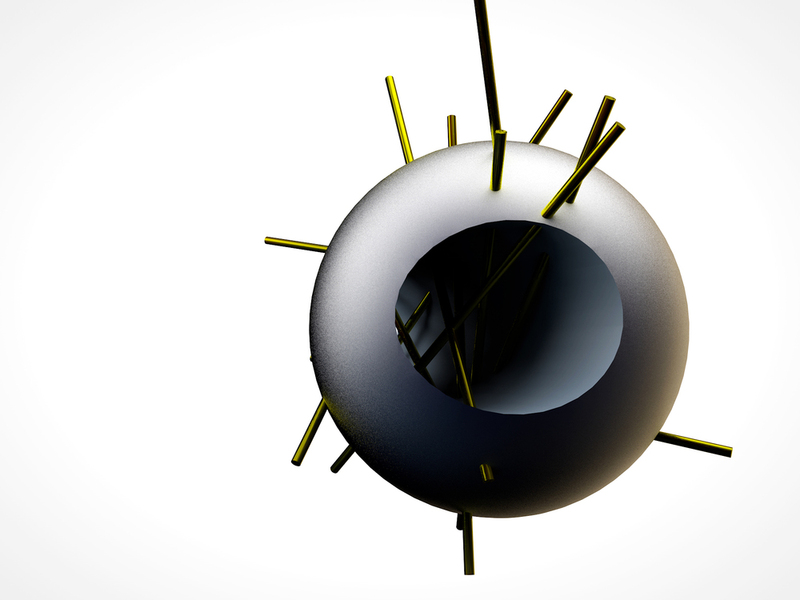 I made this weird thing while playing around with the boolean tool. I got some weird, jaggy edges along where it cuts and didn't notice until just now. Thinking a lot about sculpture lately.